Veritas Technologies may be number one in worldwide market share when it comes to the enterprise data protection and software-defined storage space, but in Canada, they could be doing better, according to the company’s new Canadian country manager, Garth Scully. Rita Loncar, Veritas’ new Canadian channel chief, agreed. The two were accompanied by other members of the company’s leadership team, all of whom were tasked with reaffirming this message to a room full of partners and customers from Canada. Long-time Veritas partner ESI Technologies was one of them. Its president Greg Rokos told CDN he liked what he heard from leadership at Veritas, especially the Canada-focused approach to selling solutions, a strategy that was absent for several years. Until recently, Canada was simply wrapped into the go-to market strategy for the U.S., he said, indicating the latest hires for Veritas’ Canadian business was an example of “massive reinvestment” in the country. “Having a country manager like Garth, who I’ve known for many years, since our Cisco days, is great because we have a leader we know and trust,” he said. Loncar’s appointment as Canadian channel chief is also great news he added, and will lead to a clear channel management structure. Approximately 85 per cent of the Canadian business flows through the partner community, according to Garth, and the goal right now is to bolster the selling capabilities of bigger partners and invest in distribution channels to bump up that 85 per cent figure. Veritas’ revamped channel program, launched in April, has resonated well with partners, said Loncar. Updates to the partner program included an easier way for partners to calculate their earnings and back-end rebates, in addition to a variety of of new accreditation courses and skills evaluations, with a heavy focus on hybrid and multi-cloud. New research conducted by IDG and sponsored by Veritas suggests 90 per cent of organizations have been tasked by their executive team to adopt a multi-cloud strategy. But the numbers also suggest that’s much easier said than done. More than 75 per cent of those respondents said managing data in a multi-cloud environment is more challenging than a traditional data centre, and 57 per cent are planning to adopt new tools to manage it all. The number of cloud services are growing almost everyday. 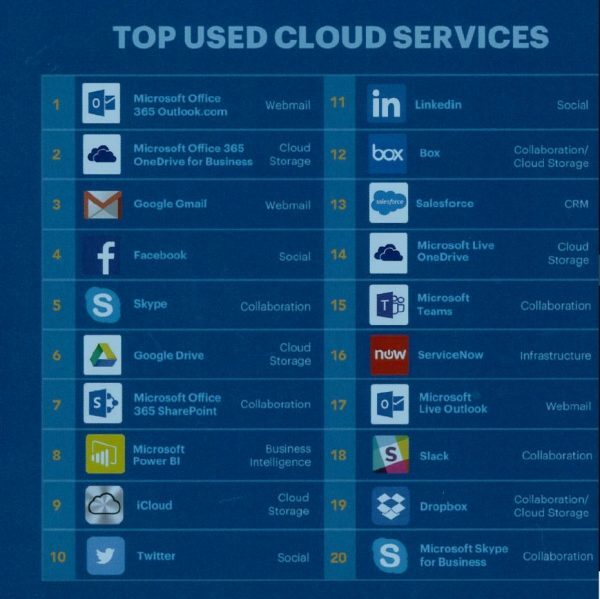 Here are the top ones, according to Netskope. These issues are compounded by what several people at the event described as a “fragmented industry.” Answers to small problems – often in the form of cloud services – are released almost daily, but in fact further complicate a business’ overall data management structure. “This problem is getting worse,” said Matt Hagovsky, senior director for technical sales and services at Veritas. And it’s not as easy as simply moving all your data and management capabilities under a single cloud provider. Cameron Bahar, chief technical officer for Veritas, pointed to a customer from Calgary who wanted to reduce their four on-premises data centres to just one on the cloud. They turned to Amazon Web Services (AWS), thinking they were going to save money. The Veritas Resiliency platform helps with this issue and reduces downtime, said Matt Hagovsky, senior director of technical sales and services. He noted downtime now costs business $400,000 per hour. Hagovsky also pointed to a recently updated UI for the Veritas NetBackup, and improved integration with VMware products. “There’s a lack of integration in the technology environment with VMware. You want a company that partners very tightly with them,” he said. Scully had no problem backing up the Veritas lineup of solutions – it’s just a matter of getting it into the hands of Canadian customers, he emphasized, especially in areas outside of the current hot spots such as Toronto and Montreal.